Set of tree titanium nuts for the rear wheel axle, for the single speed and 2 speed hub. After searching in vain for some replacement nuts for the rear axle that doesn't rust, we have started our own production of M10 hexagon nuts in titanium grade 5. 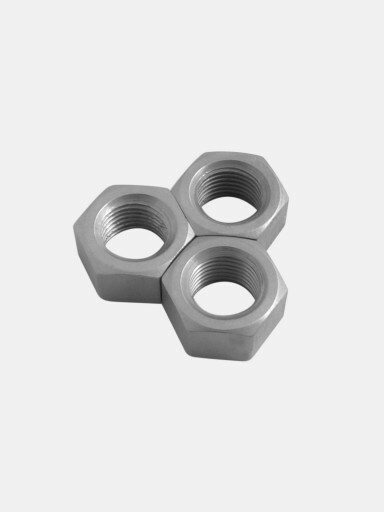 The nuts weight 11.6 grams, saving 9 grams over the original. Please notice that the nuts only fit the single speed and 2 speed hub, and will not fit the BSR or BWR hubs. The tread is a 1.0 pitch fine tread and the hex is 15mm.